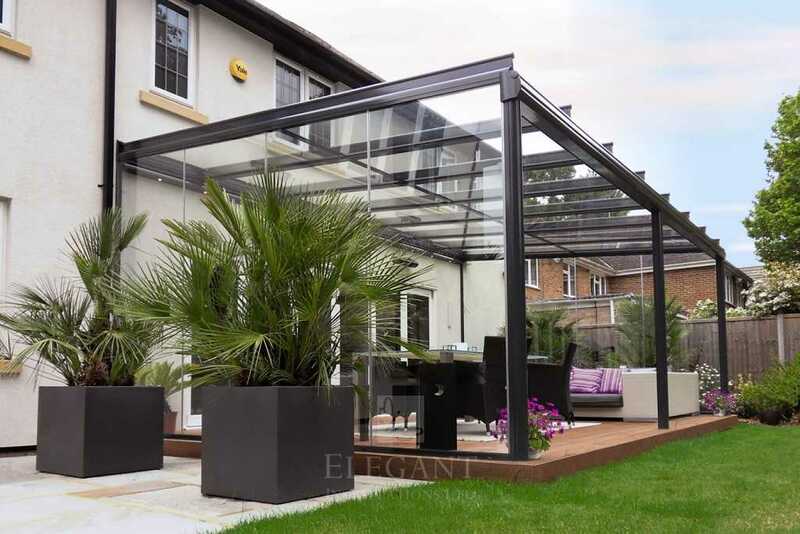 Mr & Mrs Neumann hadn’t long moved to the UK from Germany, and immediately wanted a glass veranda outdoor living space replacing the one they’d left behind. 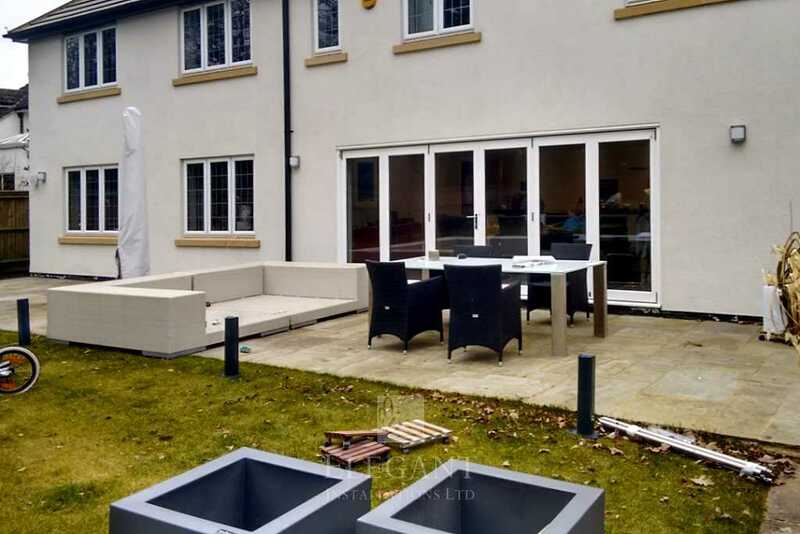 Huge bi-fold doors opened their spacious kitchen to the garden, but the patio space between feeling exposed, sprawling, needing forming into a better defined al-fresco living area. 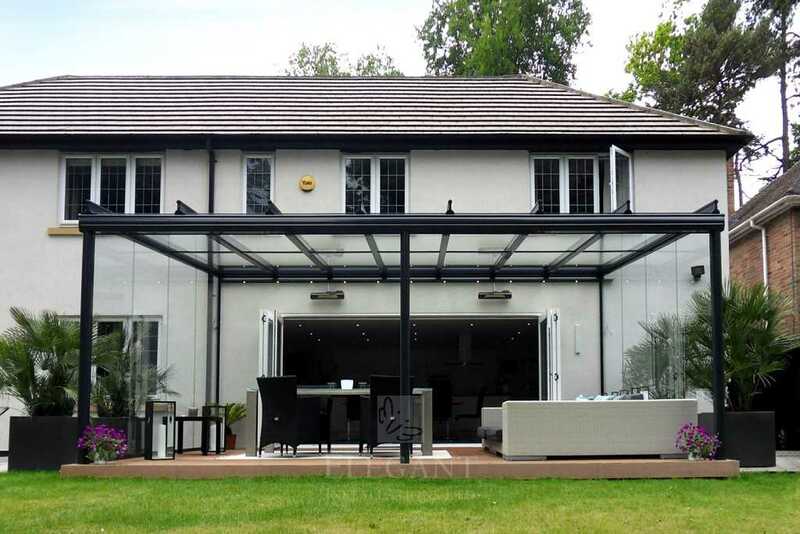 They very much wanted a facility connecting with the kitchen, creating an extension to open plan living. 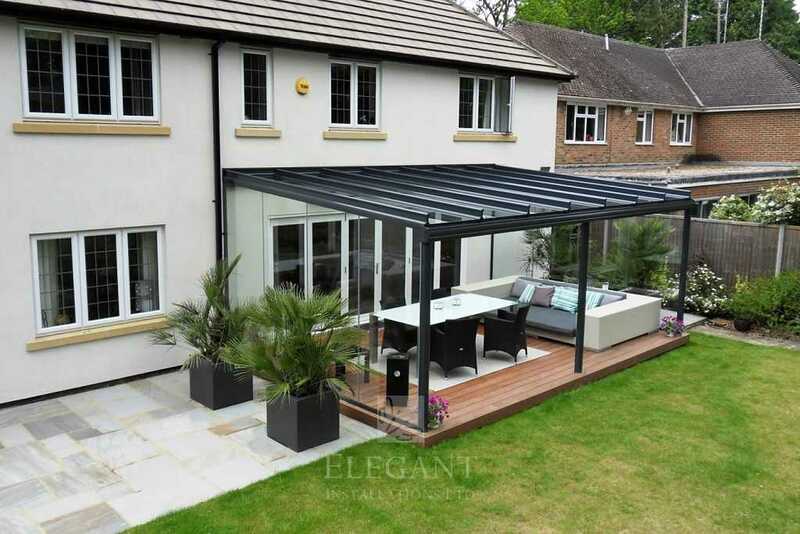 This glass veranda must be wide enough to accommodate the clients generous outdoor sofa, still leaving room for a dining table and chairs. Fixed side glass walls would aid evening warmth, and also help a feeling of more contained belonging across this wide patio. 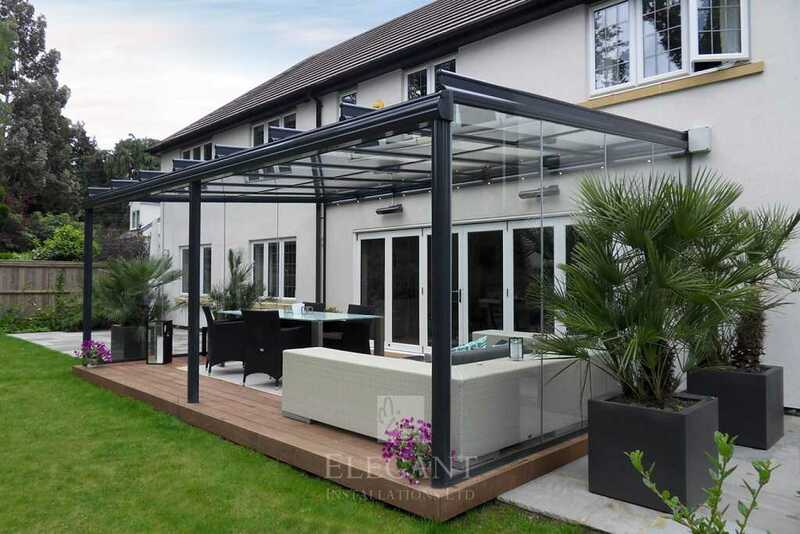 Decking too should better define the glass veranda living space from the wider sprawling patio, and finally this entire installation should be of a contemporary style, coloured a Germanic engineered looking anthracite dark grey. 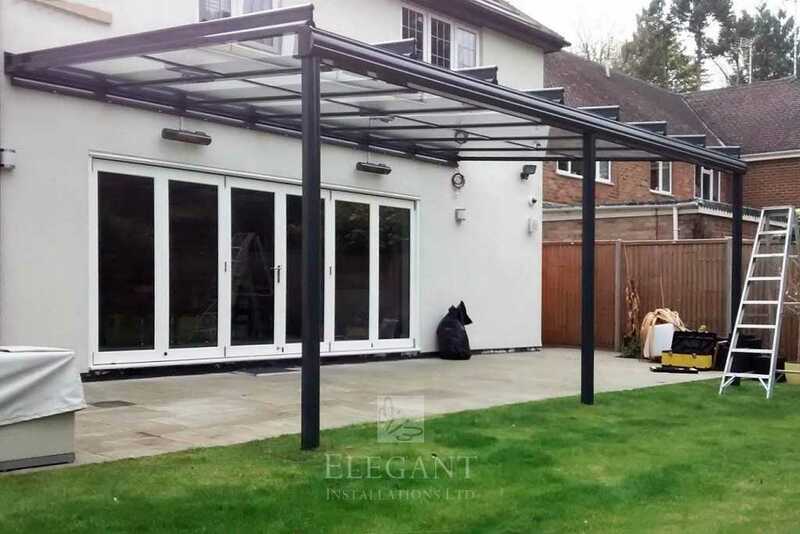 Mr & Mrs Neumann were extremely satisfied with their outcome, commenting how this project was delivered on time with Elegant providing a German style efficiency of service they’d hoped for. The deck helps define their veranda as the place to gather, the family no longer feeling lost across a wide patio, it also eliminates step-down from their kitchen doors. Finally, spotlights and heating allow extended use of this glass veranda in Hampshire late into the evenings, ready for all those summers yet to come.